Selecting a new dentist for you and your family is an important decision. When you go to the dentist, you are placing your mouth in someone else’s hands, so you don’t want to choose a dentist without putting some time and effort into it. But how do you choose the best dentist that meets your needs and desires? Is there a process you should follow? What should you look for when comparing dentists and dentist offices? As dentist professionals, we believe caring for your mouth is an essential part of your health. And we want to do everything we can to help you feel good about your decision. That’s why we’re sharing with you the following useful tips that will help you find a good dentist office and feel comfortable about your choice. Contact your dental insurance company. If you have dental insurance, a good first step is to ask your insurer for names and contact information for dentists in your area who are part of your dental plan. If you choose a dentist who is part of you plan, you will most likely have to pay a lower fee than if you choose a provider who is out of network. Look for a dentist with a good reputation. Look for a qualified dentist. Dentists are licensed practitioners who hold either a doctor of dental surgery (D.D.S.) degree or an equivalent doctor of dental medicine (D.M.D.) degree. To become a dentist, at least two years of pre-dental college work is required, followed by four years of dental school. A state license is then received after passing national and state board exams. After this, dentists who specialize spend two or more years in advanced training. To become board certified, a dentist must pass an exam by a specialty board recognized by the American Dental Association. Make sure the dentist is licensed. Most state dental boards allow you to verify if the dentist is licensed on their websites. (See a list of state dental boards from the ADA.) Dentists choose to be ADA members, but this choice means the dentist has agreed to the ADA Principles of Ethics and Code of Professional Conduct. Every ADA member makes a promise to put your health first and to deal with patients ethically and honestly. Look for a dentist you can trust and that you get along with. Scheduling a visit to get acquainted with the dentist and the office is a great idea. From the first call, you should consider how you are treated. Does the staff seem friendly? Do they answer your questions and not put you on hold for a long time? A good dentist will not rush patients but will take the time to have a personal interest in them and their health. You want someone who listens to you and makes you feel comfortable. You also want someone you can talk to and someone who will teach you about dental care, rather than simply telling you what to do. 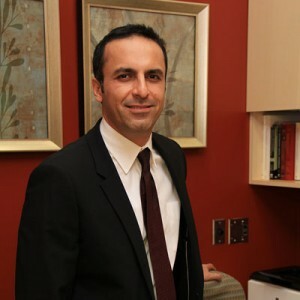 Our patients love our dentist, Dr. Riaz Rayek. He believes it is important to consider each patient’s entire health history before making decisions about oral care. He personally created a Customized Oral Wellness program for his practice, allowing him to create a unique treatment program for each patient based on patient’s records and other information. He goes even further and cares for people beyond his practice as well. He has provided treatment for children who were exposed to radiation in Chernobyl, Russia. And he has helped young girls from Afghanistan who were part of the first all-girls youth soccer team to travel outside the country. Look at the office and consider the office staff. When you visit, is the office clean and orderly? Does everyone you meet treat you kindly and seem professional? 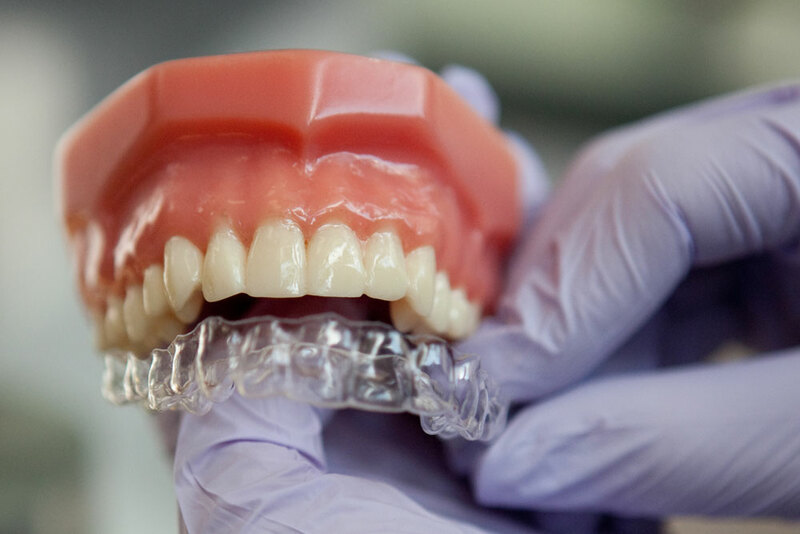 Do the dentist and staff wear gloves and other protective gear during patient treatment? Every dental office must abide by the current OSHA (Occupational Safety and Health Administration) guidelines for sterilization and disinfection. Look for an experienced dentist who furthers his training. Getting certified is good, but you want a doctor who continues his education and has lots of experience with the treatment you are seeking. Dr. Rayek is highly experienced and has further his knowledge and training in a variety of services. If you need dental implants, Dr. Rayek has completed more than one thousand hours of advanced training in restorative and implant dentistry. And one of the first dentists to do implants mentored him for three years. Orthodontics is another area he has further his training. He is an Elite Premier Provider of Invisalign, which means Dr. Rayek is in the top one percent of Invisalign providers in the nation. Look at the results the dentist has achieved. 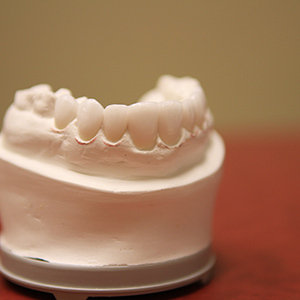 Ask the dentist to see before and after photos of past patients. This way you can get a look at their work, rather than relying on words alone. At Smiles on Fairfax, we invite you to checkout our smile gallery and see our amazing results for yourself. Consider your level of fear or dental anxiety. Many people feel anxious or even terrified when simply thinking about going to the dentist. If this is true for you or a member of your family, you want to take extra care when choosing a dentist. Oral conscious sedation to soothe your fears. All you do is take a pill before your appointment, so you can feel calm before coming to our office. You will remain awake, yet relaxed. If you feel tense or uncertain hours before your dental appointments, this is a wonderful option. However, you want to ensure the dentist has undergone the proper training and education. Our dentist, Dr. Rayek, has gone through advanced training in sedation and has learned how to properly administer sedation to adults and children. He is an active member of the Dental Organization for Conscious Sedation. General anesthesia, so you can sleep during your entire appointment. If you choose general anesthesia, you can be completely asleep for your entire treatment. Most patients won’t remember their appointment and will feel at ease. The entire time you are asleep, a board-certified anesthesiologist from the Horizon Anesthesia Group will constantly watch you and check your vitals. Look for a dentist who is up to date. You want a dentist who keeps up with changes in technology and updates his tools and techniques as needed. Dr. Rayek uses the latest and best technology available to his patients and provides the best care possible. For example, he uses an E4D milling machine for fast crown creation and a hard tissue laser for less painful fillings. Consider the location of the dentist office. Everybody is different. Maybe you want a dentist nearby your home or close to where you work. You may also want a dentist with plenty of parking. Or one that is nearby where you like to do your errands. Many of our patients here at Smiles on Fairfax live, work, dine, and shop in and around our convenient office location. We make it easy for you to make your dentist visit and get your other daily activities accomplished as well. Are the hours the dentist is open convenient to you? We strive to cater to your busy life. Our convenient, flexible business hours should fit into your schedule. We also have short wait times so we don’t waste your time or make you feel uncomfortable. We are open on Mondays, Tuesdays, and Thursdays from 7:00 a.m. to 5:00 p.m., on Wednesdays from 7:00 a.m. to 7:00 p.m., and on Fridays from 8:00 a.m. to 2:00 p.m. Consider fees and payment plans. At Smiles on Fairfax, we offer flexible financing options to make sure you get the care you need when you need it. If you have questions about our financing options, please call us at (703) 997-0928 and our professional staff will be happy to help you. Consider what other languages the staff speak. If English isn’t your first language, you want to consider what other languages the dentist and the staff members are able to speak. At Smiles on Fairfax, we can speak Farsi, Korean, Spanish, English, Arabic, French, Vietnamese, Urdu, and Hindi. Why you shouldn’t put off finding a dentist? Each year, 100 million Americans fail to see a dentist, according to the ADA. Most dental diseases can be prevented through regular dental examinations and good oral hygiene. Also, some diseases and medical conditions have symptoms that can appear in the mouth. So, don’t put off choosing a dentist for you and your family. And don’t think it doesn’t matter what dentist you choose. Your dentist choice will affect your life — and the life of your family — for years to come. Everyone deserves exceptional care. And you and your family deserve the best. 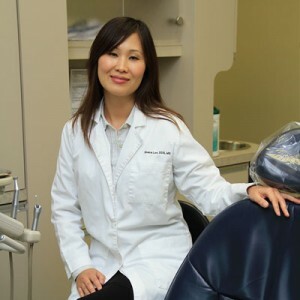 If you are looking for a trusted dentist that people love in Fairfax, Virginia, call (703) 997-0928 to setup a FREE appointment to visit our office and see what our office has to offer you and your family.